"Oh, Dakuwaqa!" 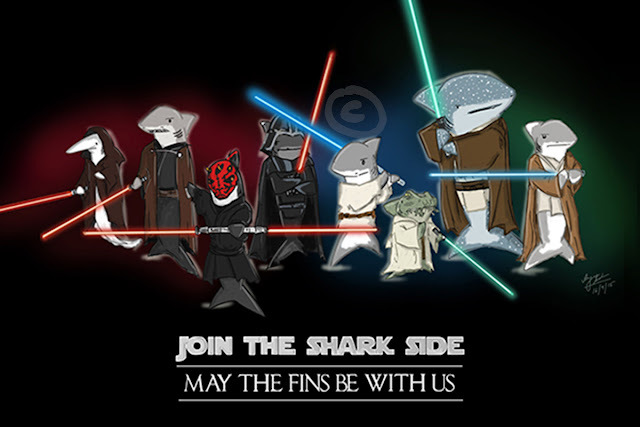 - The Shark comics and cartoons: Water skiing with Jaws! Now that's what I call a twist in the tale! 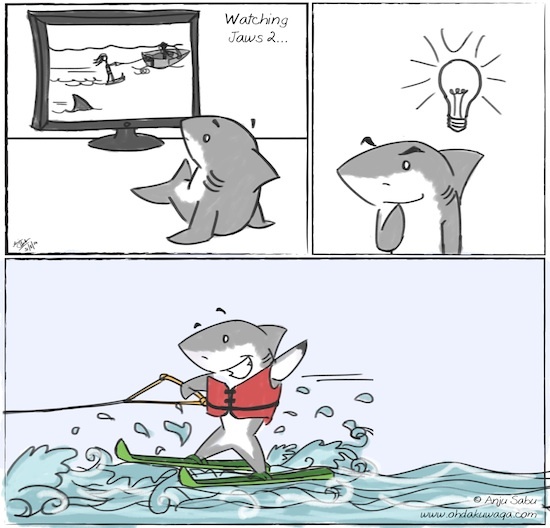 One would expect the light bulb idea to be something like the Shark swimming after some water skier to terrorise them. But instead it got the idea to go water skiing! Get it? Anyway, the last panel alone is in colour on purpose. Perhaps it's all a dream.